Eloïse Bollack writes about, and shows her photos of, the families who have to leave Gaza and look for a safe place. 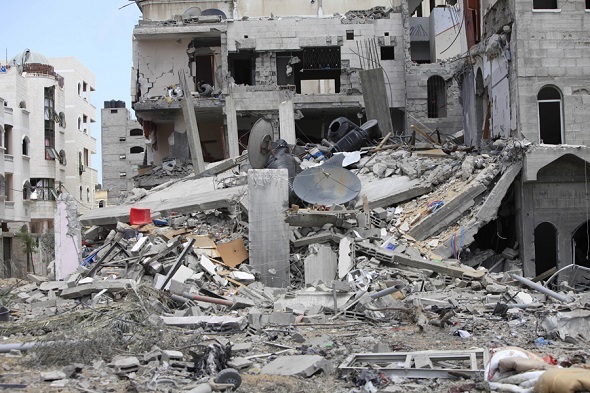 In 20 days of Israel’s bombing of Gaza - Operation Protective Edge - 1,049 Palestinians have been killed and 5,345 injured. But not so many people know about the number of people who have had to leave their homes. This is three times more than the highest number of people that had to leave their homes in Operation Cast Lead, the attacks in 2008-9. On 25 July the number of people who have left their homes and are now in UNRWA temporary refugee camps was more than 150,000. 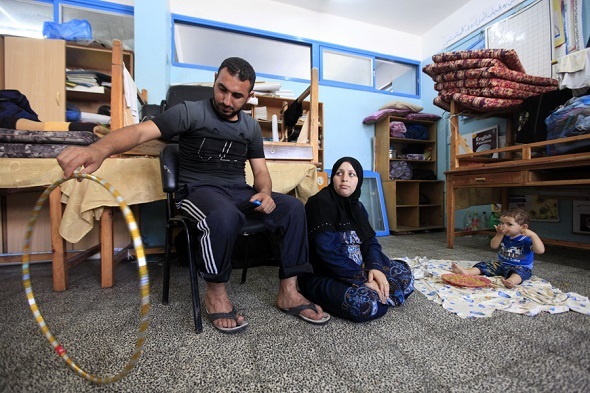 The total number of Gazans who have had to leave their homes - many are also staying with other family, in hospitals and government-run schools - is now 250,000. 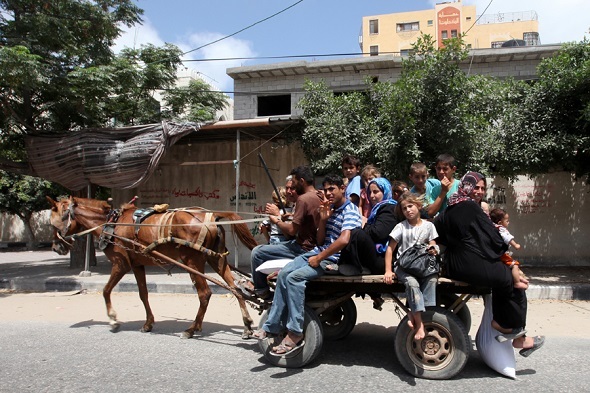 People who have to leave their homes in Gaza have nowhere to go. The Israeli army attacks the “safe” places they go to. On 23July, they bombed an elementary school in Beit Hanoun. 15 people were killed and many injured. 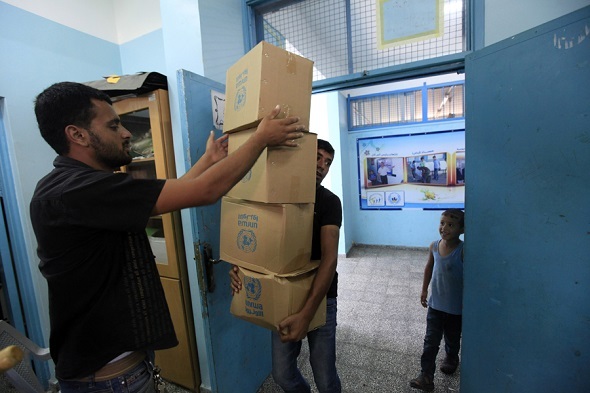 UNRWA staff tried to negotiate with the Israeli Defense Forces (IDF) a safe route to move their staff and homeless people, but the IDF did not allow this. 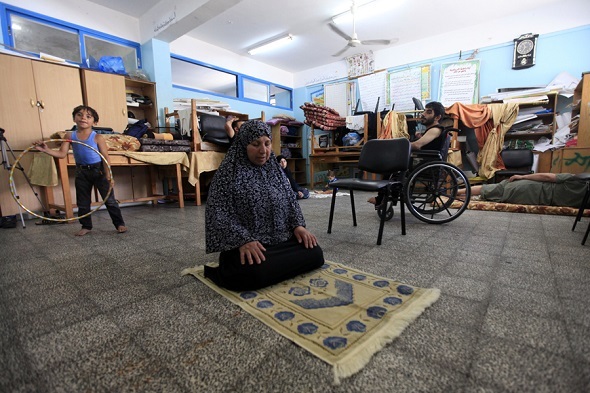 The Israeli authorities knew this was a refugee centre – Gazans had told them the exact place on the map 12 times, says UNRWA. 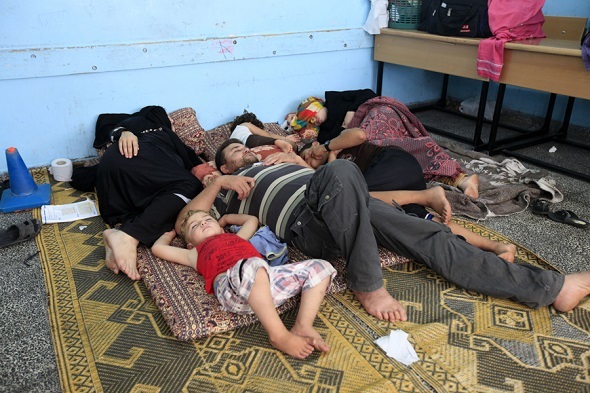 Above: A family in one of the UNRWA schools. There are up to 80 people in each classroom of the 84 schools, and there are no other buildings to use. 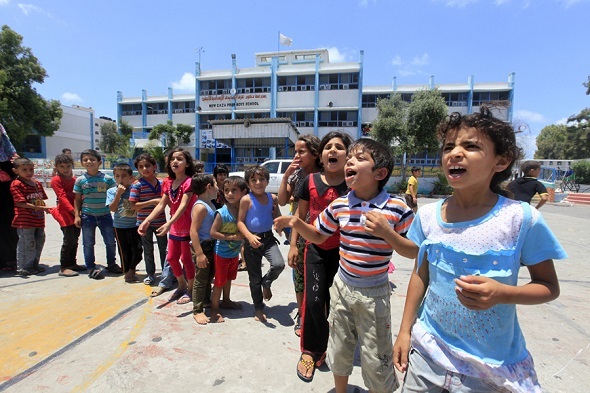 Four UNHCR schools have been bombed since the start of the Israeli attack on 8 July. 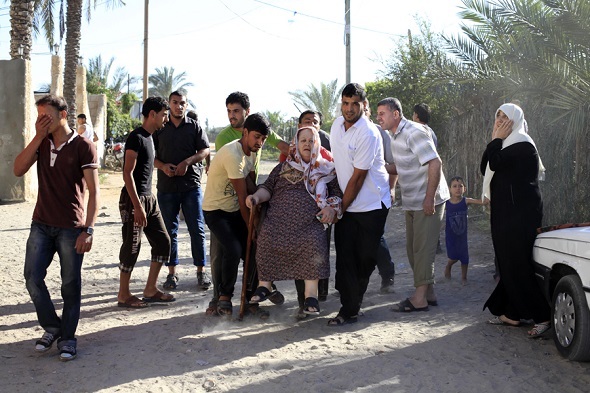 Above: Palestinians have to leave Beit Lahya in the northern Gaza Strip after the Israeli military said they will bomb the area because of the rockets fired into Israel over the past few days. Above: Hundreds of homes have been destroyed. 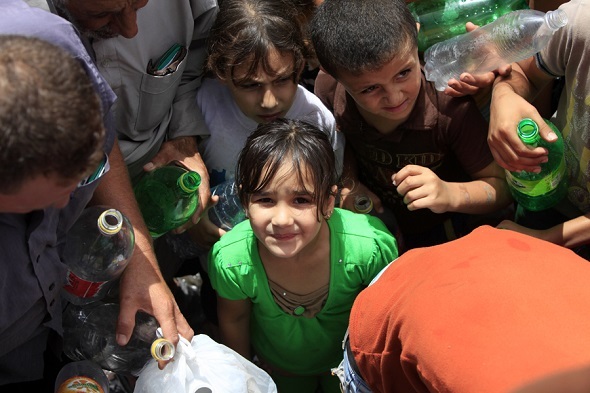 Above: Families queue for water in a UNRWA shelter. Relief agencies have been trying to deliver water with tankers in areas with no pumped water. And local communities give water when they can. Above: There is not much food and medicine left. Half of Gaza’s 1.7 million population is under 18. Seven-year-old children have lived all their lives in a war. They have been in three terrible Israeli military operations. Above: A family leave their house after a warning bomb hit it – they call it a ‘knock on the roof’. The UN asked for a humanitarian ceasefire (stopping of all fighting), and this was observed for 12 hours on 26 July. On 27 July, Hamas asked for 24 hours of peace before the Muslim festival of Eid ul-Fitr. There is no progress. Palestinians have little to celebrate. Instead of celebrating, they are very sad for their loved ones and what they have lost. NOW READ THE ORIGINAL: http://newint.org/features/web-exclusive/2014/07/27/gaza-displacement/ (This article has been simplified so the words, text structure and quotes may have been changed). This page was last edited on 9 August 2014, at 09:57.